For nearly 30 years, the Swiss-inspired designers of Luminox have been creating men’s and women’s watches of long-lasting endurance and precision. Considered “essential gear” by active individuals, Luminox watches are built-to-last and can be found featuring an array of helpful complications – including chronographs and date subdials – along with the brand’s signature self-powered illumination system. Ranging from sleek and subtle to big and bold, Luminox timepieces make the perfect accessory for individuals with active lifestyles, as well as are on display at today, in the Centennial showroom of Trice Jewelers, in an amazing selection of exclusive lines, collections, and styles guaranteed to please. With one of the largest Luminox selections in the greater Denver area, Trice Jewelers is the place to find the ideal Swiss-quality watch for any timekeeping enthusiast. As an authorized retailer, customers can rest assured knowing that every Luminox watch available is 100% genuine, authentic, and up to Trice Jewelers’ high standards of exquisite fine jewelry quality. Ready for wherever adventure takes them, the timepieces of the Luminox Air lines are expertly-made pilot style watches of exquisite and cutting-edge construction. Including the pieces from the F-117 Nighthawk, F-22 Raptor, and P-38 Lightning lines, the Luminox Air collection are unique in their attention-to-detail and design. In addition to the aviation type watches of the Air collection, the timekeeping experts of Trice Jewelers are thrilled to also extend a fabulous selection of Luminox pieces from the spectacular Land, Sea, Space, and Modern Mariner lines. Made high-quality materials such as titanium, carbon fiber, leather, and stainless steel, the watches of these Luminox collections are one-of-a-kind and ready for any challenge. 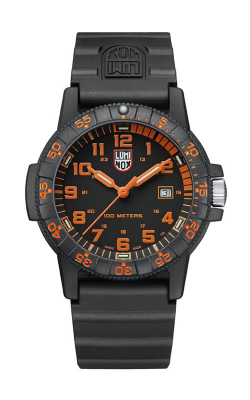 As a trusted Luminox retailer, Trice Jewelers is able to offer customers an array of pieces from exclusive and limited edition lines that include the Leatherback Sea Turtle, Coronado, Anu Series, Black Ops, Sentry Series, and many other cutting-edge selections. With such an amazing selection available, finding the perfect Luminox timepiece is made easy today at Centennial’s own, Trice Jewelers. Established in 1959, Trice Jewelers is renowned in the Centennial, Denver, and Rocky Mountain areas for extending an amazing selection of engagement rings, wedding bands, watches, and fine jewelry items including necklaces, earrings, bracelets, and fashion rings. Much more than just the Swiss-made watches of Luminox, Trice Jewelers also proudly offers beautiful pieces from legendary designers such as Simon G, PANDORA, Fana, Breitling, Forevermark, Gabriel New York, and others. Additionally, the friendly staff of Trice Jewelers also extends expertly-done jewelry repair, timepiece repair, and custom jewelry design, as well as in-house appraisals and gold buying services.